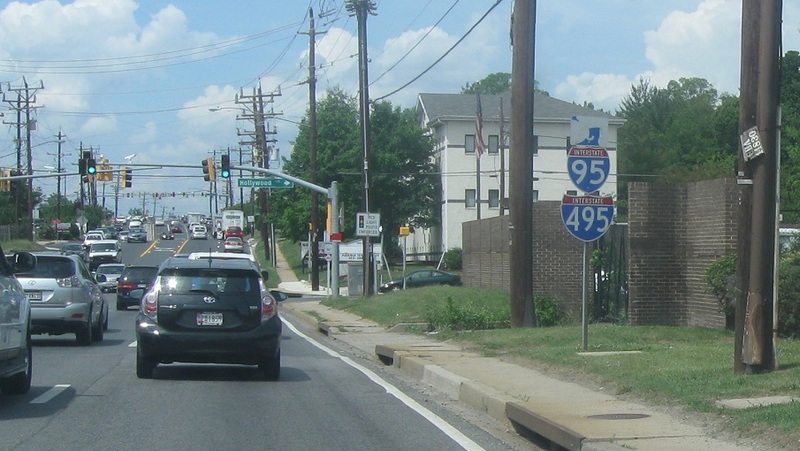 Stay on US 1 for I-95 and 495. 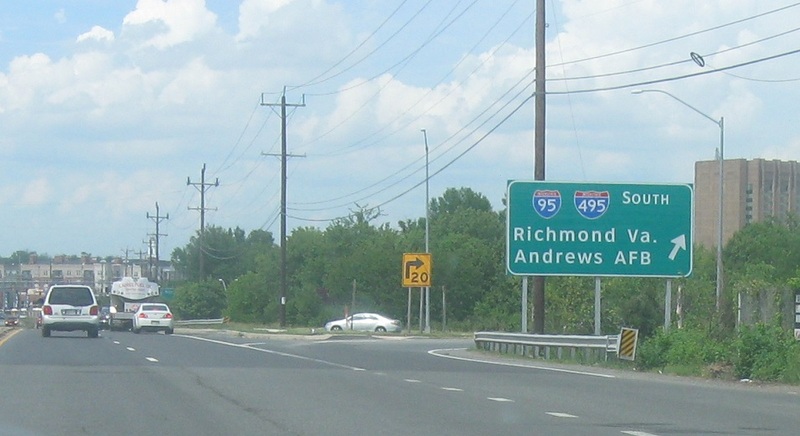 Exit for 95/495 south towards Richmond, Va. 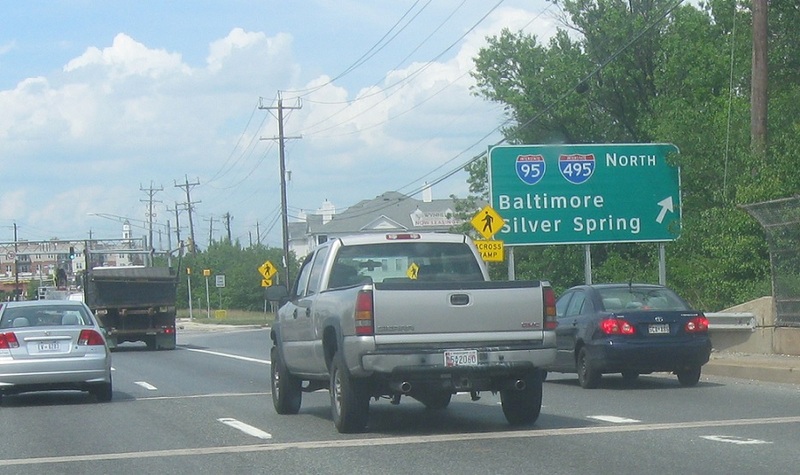 Follow 95/495 north to Baltimore.